The kart racer-- a favorite game type of mine definitely. Nowadays they aren't widely made outside of the Mario Kart series. However, over the years we've seen different developers attempt to make games in the genre to varying degrees of success. 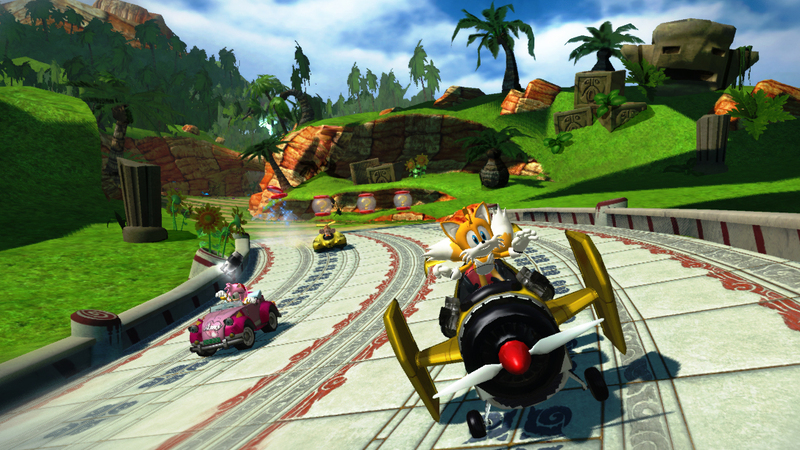 Even if you create a great kart racer, there's no telling if it will turn out to be a commercial hit. Today's top five list delves into the kart racers that either sold below expectations, didn't receive much hype, or just are overlooked in general. After you've checked out the choices here, feel free to agree/disagree and share your own ideas for kart racers that need more attention. Of all the kart racers listed on this top five, the one that surprised me the most was MySims Racing. When I was originally given a review copy to judge the game, I did not expect something special, despite enjoying past MySims games on Nintendo's Wii. However, I quickly found myself greatly liking what I was playing. 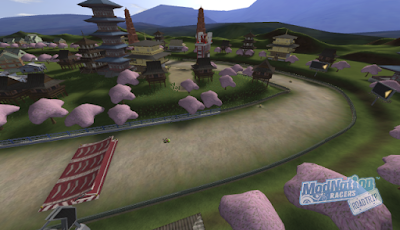 MySims Racing contains superbly designed tracks with cleverly hidden shortcuts aplenty, a fair and well rounded balance of items, smart enemy AI, tight controls, and enough content to make the game well worth owning for any Wii and kart racing fan. 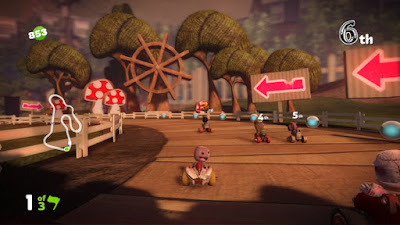 Worthy of the price of admission alone thanks to its insanely robust track creator, LittleBigPlanet Karting is an above average kart racer that thanks to said track creator, opens up the possibilities for some amazing track designs. The tracks that come with the game on the disc that are played through the story mode are wonderful already, and every one was built with the same creator available to players. 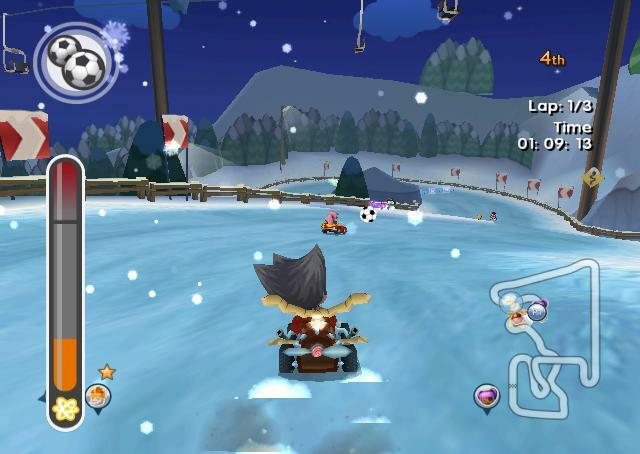 You can build multiple lap races, transforming tracks via some minor programming knowledge, one lap adventures, and even boss battles. 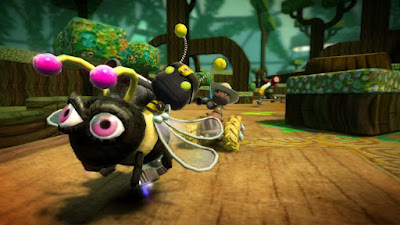 While the actual item balance and unfair rubber band AI leave a lot to be desired (a reason why LittleBigPlanet Karting is only #4 on this list), the kart racing package on the whole is definitely worth checking out, especially since it can be purchased for less than $20 easily nowadays. Released during the hey day of kart racers, the PlayStation 1 and Nintendo 64 generation of home consoles, Mickey's Speedway USA was Rare's second kart racer for the N64. 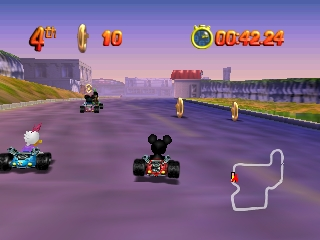 While it doesn't come close to outshining the masterpiece that is Diddy Kong Racing, the game starring Disney's lovable Mickey Mouse crew is one that is indeed packed with lots of positives-- nice track design with well done shortcuts, cute banter between characters, a high amount of polish (befitting of Rare), suitably catchy music, fantastic multiplayer, and a story mode that progressively gets more difficult as the game goes on. 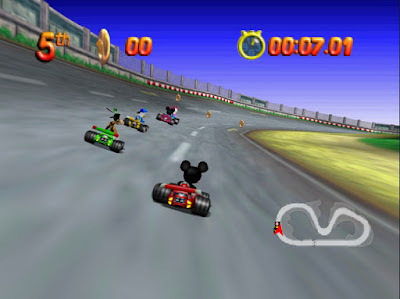 Mickey's Speedway USA is in a lesser echelon of kart racers compared to Mario Kart 64 and the previously mentioned Diddy Kong Racing, but it holds its own regardless. LittleBigPlanet Karting supports a much larger kit of tools for players to create their own race tracks, but not only is this much more convoluted to do compared to the PlayStation Vita launch title ModNation Racers: Road Trip, but the actual gameplay is lesser as well. 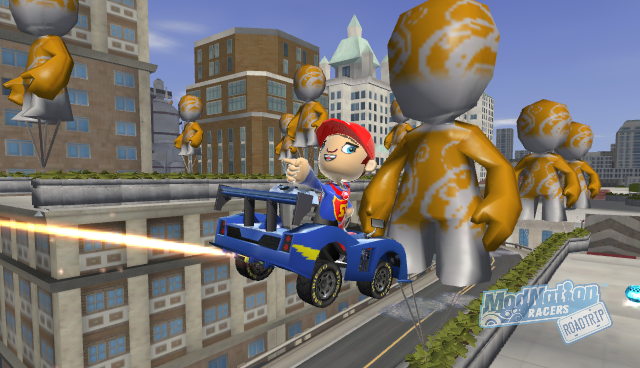 The Vita version of ModNation Racers possesses a wide array of pre-made tracks for the excellent story campaign, full of side missions such as not hitting a wall, taking every shortcut, and hitting five enemies, for instance. Creating capable and highly competent tracks is a breeze, and the use of the touch screen to accurately draw track, place objects, and sculpt terrain makes for an engaging designing experience that won't make you need to watch a 50 minute series of tutorials just to have a fighting chance of building some great. 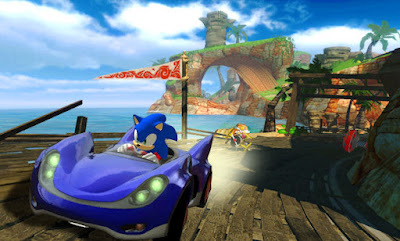 While its sequel, Sonic & All-Stars Racing Transformed gets a lot of acclaim from fans and critics, the original Sonic & SEGA All-Stars Racing usually gets overlooked. 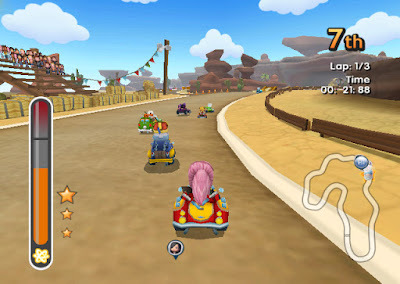 Not here at SuperPhillip Central, where I actually consider the original Sonic & SEGA all-star karting mashup to be superior. It has a better cast of characters with a more enjoyable way of unlocking them via spending SEGA Miles, it has a more entertaining single player mode with its Mario Kart DS-style mission mode, and it has tracks that are much easier to see the twists and turns of. A lack of glitches and bugs compared to Sonic & All-Stars Racing Transformed makes the pick of the original Sonic & SEGA quite easy to make as the most underrated kart racer currently on the market today.